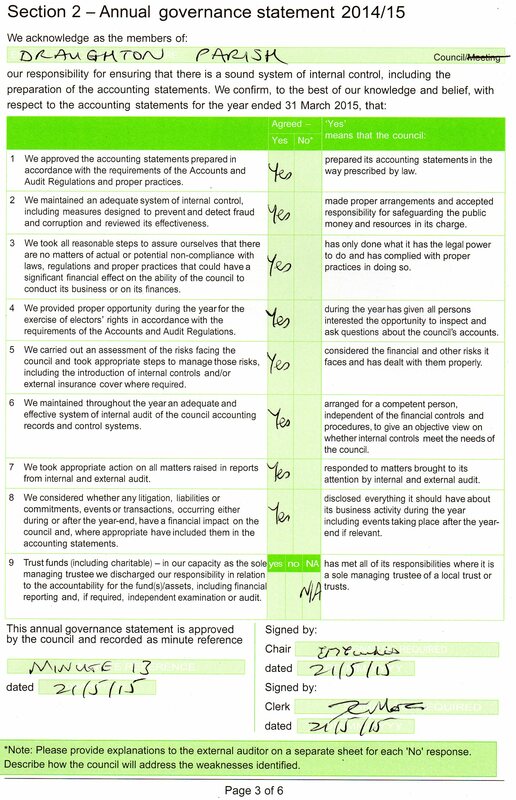 In compliance with the Transparency Code for Smaller Authorities, dated December 2014, the Council will, with effect from the 2014/15 accounting period, publish here on an annual basis the governance and financial statements in the Annual Return, together with the Statement of Receipts and Payments and the Bank Reconciliation. 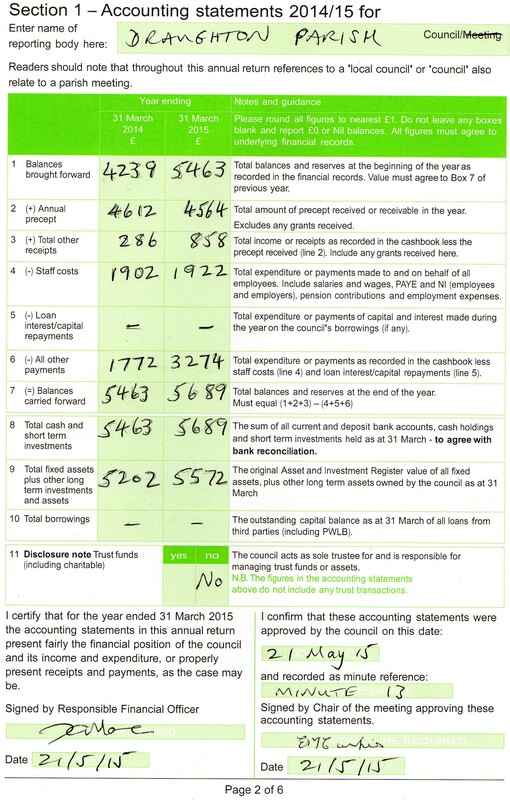 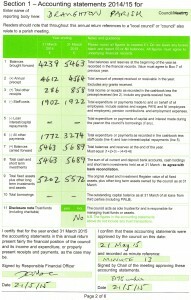 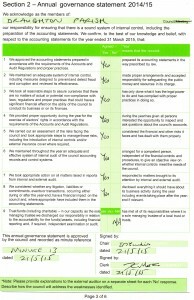 Please see the Minutes page of this site to view the financial statements approved in previous financial years. 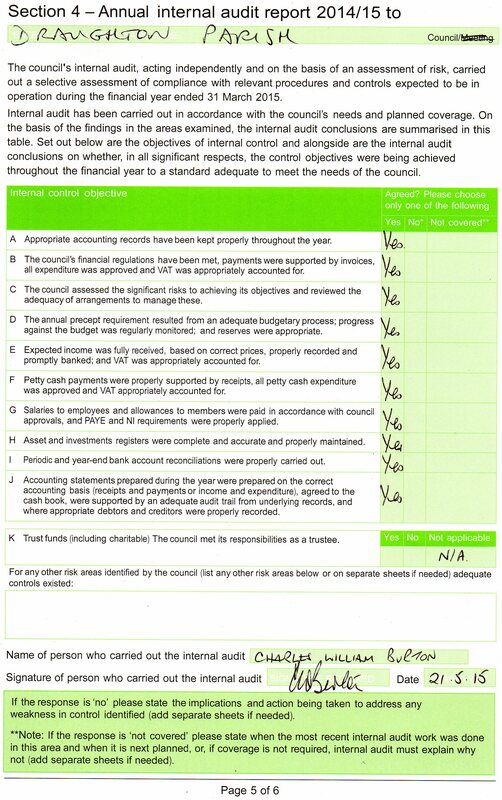 Any queries and applications to view the books should be addressed to the Clerk using the contact details provided on this website. 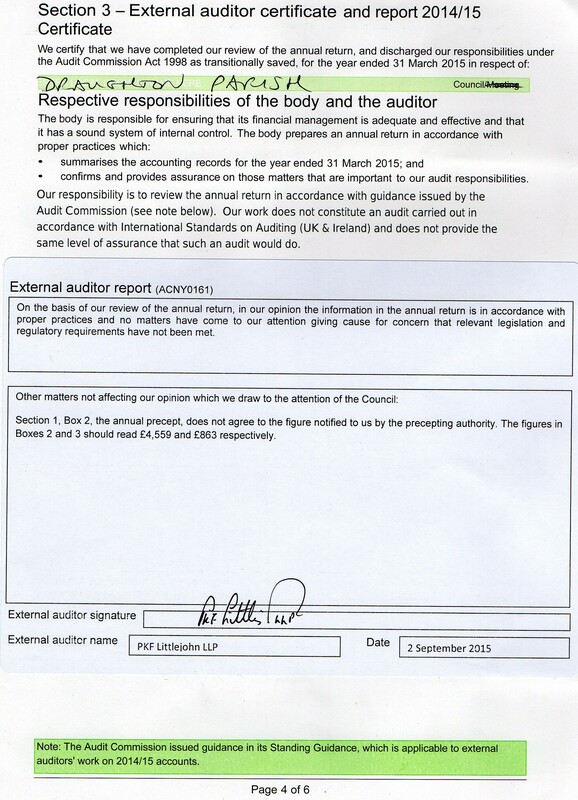 See below the sections from the 2015 Annual Return showing, first, the accounting information, followed by the Annual Governance Statement, the Report of the Internal Auditor and then the Report of the External Auditor. 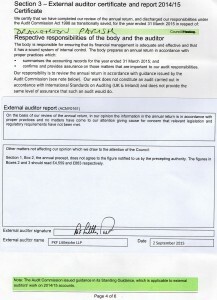 The Annual Return was approved by the Council on 21 May 2015 and the audit was concluded and notices published to this effect on 9 September 2015.